Russian orbital launch vehicle. The 8A92 was a modernized version of the Vostok booster used for launch of Zenit-2 reconnaissance satellites. AKA: 8A92;8K72K;A-1;SL-3. Status: Retired 1967. 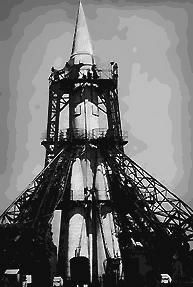 First Launch: 1962-06-01. Last Launch: 1967-05-12. Number: 45 . Payload: 4,730 kg (10,420 lb). Thrust: 3,996.85 kN (898,528 lbf). Gross mass: 281,375 kg (620,325 lb). Height: 30.84 m (101.18 ft). Diameter: 2.99 m (9.80 ft). Apogee: 200 km (120 mi). LEO Payload: 4,730 kg (10,420 lb) to a 200 km orbit at 65.00 degrees. Stage 0. 4 x Vostok 8A92-0. Gross Mass: 43,300 kg (95,400 lb). Empty Mass: 3,700 kg (8,100 lb). Thrust (vac): 995.300 kN (223,752 lbf). Isp: 313 sec. Burn time: 118 sec. Isp(sl): 256 sec. Diameter: 2.68 m (8.79 ft). Span: 2.68 m (8.79 ft). Length: 19.00 m (62.00 ft). Propellants: Lox/Kerosene. No Engines: 1. Engine: RD-107-8D74K. Status: Out of Production. Stage 1. 1 x Vostok 8A92-1. Gross Mass: 100,400 kg (221,300 lb). Empty Mass: 6,800 kg (14,900 lb). Thrust (vac): 940.400 kN (211,410 lbf). Isp: 315 sec. Burn time: 301 sec. Isp(sl): 248 sec. Diameter: 2.99 m (9.80 ft). Span: 2.99 m (9.80 ft). Length: 28.00 m (91.00 ft). Propellants: Lox/Kerosene. No Engines: 1. Engine: RD-108-8D75K. Status: Out of Production. Stage 2. 1 x Vostok 8A92-2. Gross Mass: 7,775 kg (17,140 lb). Empty Mass: 1,440 kg (3,170 lb). Thrust (vac): 54.900 kN (12,342 lbf). Isp: 326 sec. Burn time: 369 sec. Diameter: 2.56 m (8.39 ft). Span: 2.56 m (8.39 ft). Length: 2.84 m (9.31 ft). Propellants: Lox/Kerosene. No Engines: 1. Engine: RD-0109. Status: Out of Production. Family: orbital launch vehicle. Country: Russia. 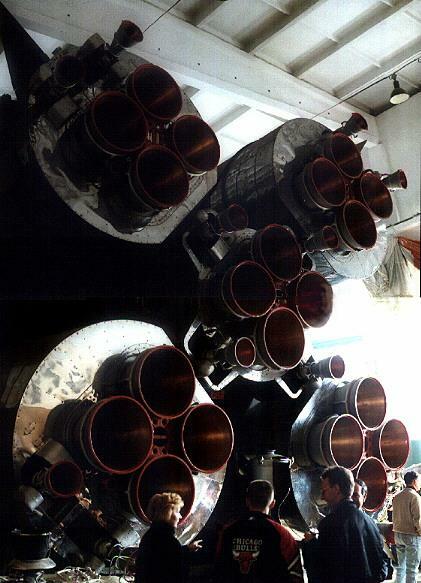 Engines: RD-0109, RD-107-8D74K, RD-108-8D75K. Spacecraft: Zenit-2 satellite. Launch Sites: Baikonur, Baikonur LC1, Plesetsk, Baikonur LC31, Plesetsk LC41/1. Stages: Vostok 8A92-0, Vostok 8A92-1, Vostok 8A92-2. Agency: Korolev bureau. 1962 June 1 - . 09:38 GMT - . Launch Site: Baikonur. Launch Complex: Baikonur LC1. LV Family: R-7. Launch Vehicle: Vostok 8A92. FAILURE: Shutdown of Block B strap-on engine stage 1.8 seconds after liftoff. The booster crashed 300 m from the pad. Pad damaged.. Failed Stage: 0. Zenit-2 11F61 s/n 3 - . Payload: Zenit-2 11F61 s/n 3. Mass: 4,610 kg (10,160 lb). Nation: Russia. Agency: RVSN. Class: Surveillance. Type: Military surveillance satellite. Spacecraft Bus: Vostok. Spacecraft: Zenit-2 satellite. Decay Date: 1962-06-01 . Area survey photo reconnaissance satellite. Third attempted launch of Zenit photo-reconnaissance satellite. 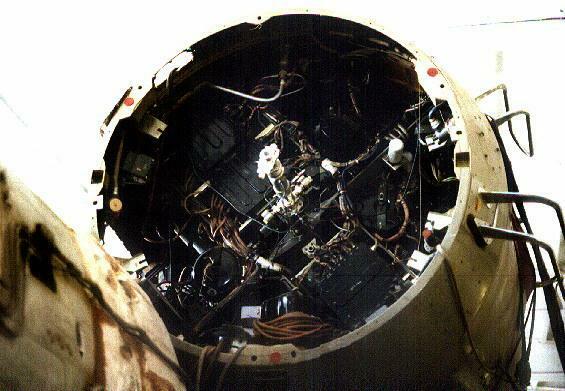 It blew up 300 m from the pad, and did enough damage to put the launch complex out of operation for a month. 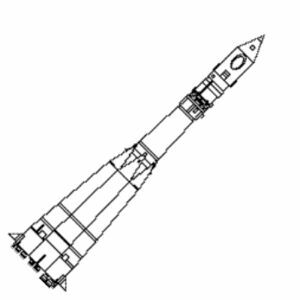 Therefore the Vostok 3/4 launches could not take place until the end of July at the earliest. 1962 July 28 - . 09:18 GMT - . Launch Site: Baikonur. Launch Complex: Baikonur LC1. LV Family: R-7. Launch Vehicle: Vostok 8A92. Cosmos 7 - . Payload: Zenit-2 11F61 s/n 4. Mass: 4,610 kg (10,160 lb). Nation: Russia. Agency: RVSN. Class: Surveillance. Type: Military surveillance satellite. Spacecraft Bus: Vostok. Spacecraft: Zenit-2 satellite. Duration: 4.00 days. Decay Date: 1962-08-01 . USAF Sat Cat: 346 . COSPAR: 1962-A-Iota-1. Apogee: 356 km (221 mi). Perigee: 197 km (122 mi). Inclination: 64.90 deg. Period: 90.00 min. Area survey photo reconnaissance satellite. Also performed radiation measurements..
1962 September 27 - . 09:39 GMT - . Launch Site: Baikonur. Launch Complex: Baikonur LC1. LV Family: R-7. Launch Vehicle: Vostok 8A92. Cosmos 9 - . Payload: Zenit-2 11F61 s/n 7. Mass: 4,700 kg (10,300 lb). Nation: Russia. Agency: RVSN. Class: Surveillance. Type: Military surveillance satellite. Spacecraft Bus: Vostok. Spacecraft: Zenit-2 satellite. Duration: 4.00 days. Decay Date: 1962-10-01 . USAF Sat Cat: 422 . COSPAR: 1962-A-Omega-1. Apogee: 981 km (609 mi). Perigee: 829 km (515 mi). Inclination: 67.60 deg. Period: 103.10 min. Area survey photo reconnaissance satellite. Also performed radiation measurements..
1962 October 17 - . 09:00 GMT - . Launch Site: Baikonur. Launch Complex: Baikonur LC1. LV Family: R-7. Launch Vehicle: Vostok 8A92. Cosmos 10 - . Payload: Zenit-2 11F61 s/n 5. Mass: 4,700 kg (10,300 lb). Nation: Russia. Agency: RVSN. Class: Surveillance. Type: Military surveillance satellite. Spacecraft Bus: Vostok. Spacecraft: Zenit-2 satellite. Duration: 4.00 days. Decay Date: 1962-10-21 . USAF Sat Cat: 437 . COSPAR: 1962-B-Zeta-1. Apogee: 376 km (233 mi). Perigee: 178 km (110 mi). Inclination: 64.90 deg. Period: 90.00 min. Area survey photo reconnaissance satellite. Also performed radiation measurements..
1962 December 22 - . 09:23 GMT - . Launch Site: Baikonur. Launch Complex: Baikonur LC1. LV Family: R-7. Launch Vehicle: Vostok 8A92. Cosmos 12 - . Payload: Zenit-2 11F61 s/n 6. Mass: 4,700 kg (10,300 lb). Nation: Russia. Agency: RVSN. Class: Surveillance. Type: Military surveillance satellite. Spacecraft Bus: Vostok. Spacecraft: Zenit-2 satellite. Duration: 8.00 days. Decay Date: 1962-12-30 . USAF Sat Cat: 517 . COSPAR: 1962-B-Omega-1. Apogee: 385 km (239 mi). Perigee: 202 km (125 mi). Inclination: 64.80 deg. Period: 90.40 min. Area survey photo reconnaissance satellite. Also performed radiation measurements..
1963 March 21 - . 08:30 GMT - . Launch Site: Baikonur. Launch Complex: Baikonur LC1. LV Family: R-7. Launch Vehicle: Vostok 8A92. Cosmos 13 - . Payload: Zenit-2 11F61 s/n 9. Mass: 4,700 kg (10,300 lb). Nation: Russia. Agency: Korolev bureau. Class: Surveillance. Type: Military surveillance satellite. Spacecraft Bus: Vostok. Spacecraft: Zenit-2 satellite. Duration: 8.00 days. Decay Date: 1963-03-29 . USAF Sat Cat: 554 . COSPAR: 1963-006A. Apogee: 303 km (188 mi). Perigee: 214 km (132 mi). Inclination: 65.20 deg. Period: 89.60 min. Area survey photo reconnaissance satellite. Also performed radiation measurements..
1963 April 22 - . 08:30 GMT - . Launch Site: Baikonur. Launch Complex: Baikonur LC1. LV Family: R-7. Launch Vehicle: Vostok 8A92. Cosmos 15 - . Payload: Zenit-2 11F61 s/n 8. Mass: 4,720 kg (10,400 lb). Nation: Russia. Agency: Korolev bureau. Class: Surveillance. Type: Military surveillance satellite. Spacecraft Bus: Vostok. Spacecraft: Zenit-2 satellite. Duration: 5.00 days. Decay Date: 1963-04-27 . USAF Sat Cat: 569 . COSPAR: 1963-011A. Apogee: 336 km (208 mi). Perigee: 194 km (120 mi). Inclination: 65.00 deg. Period: 89.80 min. Area survey photo reconnaissance satellite. Also carried weather, radiation experiments..
1963 April 28 - . 08:50 GMT - . Launch Site: Baikonur. Launch Complex: Baikonur LC1. LV Family: R-7. Launch Vehicle: Vostok 8A92. Cosmos 16 - . Payload: Zenit-2 11F61 s/n 10. Mass: 4,720 kg (10,400 lb). Nation: Russia. Agency: Korolev bureau. Class: Surveillance. Type: Military surveillance satellite. Spacecraft Bus: Vostok. Spacecraft: Zenit-2 satellite. Duration: 10.00 days. Decay Date: 1963-05-08 . USAF Sat Cat: 571 . COSPAR: 1963-012A. Apogee: 379 km (235 mi). Perigee: 201 km (124 mi). Inclination: 64.70 deg. Period: 90.30 min. Program partially completed. Part of the information lost due to failure of engine block stabilization system. Area survey photo reconnaissance satellite. Also performed radiation measurements..
1963 May 24 - . 10:33 GMT - . Launch Site: Baikonur. Launch Complex: Baikonur LC1. LV Family: R-7. Launch Vehicle: Vostok 8A92. Cosmos 18 - . Payload: Zenit-2 11F61 s/n 11. Mass: 4,720 kg (10,400 lb). Nation: Russia. Agency: Korolev bureau. Class: Surveillance. Type: Military surveillance satellite. Spacecraft Bus: Vostok. Spacecraft: Zenit-2 satellite. Duration: 9.00 days. Decay Date: 1963-06-02 . USAF Sat Cat: 586 . COSPAR: 1963-018A. Apogee: 269 km (167 mi). Perigee: 212 km (131 mi). Inclination: 64.60 deg. Period: 89.30 min. Area survey photo reconnaissance satellite. Also performed radiation measurements..
1963 July 10 - . Launch Site: Baikonur. Launch Complex: Baikonur LC1. LV Family: R-7. Launch Vehicle: Vostok 8A92. FAILURE: Shutdown of Block B strap-on engine stage 1.9 seconds after liftoff. Pad damaged.. Failed Stage: 0. Zenit-2 11F61 s/n 12 - . Payload: Zenit-2 11F61 s/n 12. Mass: 4,720 kg (10,400 lb). Nation: Russia. Agency: RVSN. Class: Surveillance. Type: Military surveillance satellite. Spacecraft Bus: Vostok. Spacecraft: Zenit-2 satellite. Decay Date: 1963-07-10 . Area survey photo reconnaissance satellite..
1963 October 18 - . 09:29 GMT - . Launch Site: Baikonur. Launch Complex: Baikonur LC1. LV Family: R-7. Launch Vehicle: Vostok 8A92. Cosmos 20 - . Payload: Zenit-2 11F61 s/n 13. Mass: 4,720 kg (10,400 lb). Nation: Russia. Agency: Korolev bureau. Class: Surveillance. Type: Military surveillance satellite. Spacecraft Bus: Vostok. Spacecraft: Zenit-2 satellite. Duration: 8.00 days. Decay Date: 1963-10-26 . USAF Sat Cat: 673 . COSPAR: 1963-040A. Apogee: 296 km (183 mi). Perigee: 201 km (124 mi). Inclination: 64.80 deg. Period: 89.40 min. Area survey photo reconnaissance satellite..
1963 November 28 - . Launch Site: Baikonur. Launch Complex: Baikonur LC1. LV Family: R-7. Launch Vehicle: Vostok 8A92. FAILURE: Failure of block E upper stage. Spacecraft liquidated by APO destruct system.. Failed Stage: 2. Zenit-2 11F61 s/n 14 - . Payload: Zenit-2 11F61 s/n 14. Mass: 4,720 kg (10,400 lb). Nation: Russia. Agency: RVSN. Class: Surveillance. Type: Military surveillance satellite. Spacecraft Bus: Vostok. Spacecraft: Zenit-2 satellite. Decay Date: 1963-11-28 . Area survey photo reconnaissance satellite..
1963 December 19 - . 09:28 GMT - . Launch Site: Baikonur. Launch Complex: Baikonur LC1. LV Family: R-7. Launch Vehicle: Vostok 8A92. Cosmos 24 - . Payload: Zenit-2 11F61 s/n 15. Mass: 4,720 kg (10,400 lb). Nation: Russia. Agency: Korolev bureau. Class: Surveillance. Type: Military surveillance satellite. Spacecraft Bus: Vostok. Spacecraft: Zenit-2 satellite. Duration: 9.00 days. Decay Date: 1963-12-28 . USAF Sat Cat: 712 . COSPAR: 1963-052A. Apogee: 391 km (242 mi). Perigee: 204 km (126 mi). Inclination: 65.00 deg. Period: 90.50 min. Area survey photo reconnaissance satellite..
1964 March 10 - . LV Family: R-7. Launch Vehicle: Vostok 8A92. Zenit-2 spy satellite accepted into mlitary service - . Nation: Russia. Spacecraft Bus: Vostok. Spacecraft: Zenit-2 satellite. Defence Ministry of the USSR decree 0045 'On adopting the Zenit-2 satellite launched on the 8A92 into armaments' was issued..
1964 April 4 - . 09:36 GMT - . Launch Site: Baikonur. Launch Complex: Baikonur LC31. LV Family: R-7. Launch Vehicle: Vostok 8A92. Cosmos 28 - . Payload: Zenit-2 11F61 s/n 16. Mass: 4,720 kg (10,400 lb). Nation: Russia. Agency: Korolev bureau. Class: Surveillance. Type: Military surveillance satellite. Spacecraft Bus: Vostok. Spacecraft: Zenit-2 satellite. Duration: 8.00 days. Decay Date: 1964-04-12 . USAF Sat Cat: 779 . COSPAR: 1964-017A. Apogee: 373 km (231 mi). Perigee: 213 km (132 mi). Inclination: 65.00 deg. Period: 90.40 min. Area survey photo reconnaissance satellite..
1964 April 25 - . 10:19 GMT - . Launch Site: Baikonur. Launch Complex: Baikonur LC31. LV Family: R-7. Launch Vehicle: Vostok 8A92. Cosmos 29 - . Payload: Zenit-2 11F61 s/n 19. Mass: 4,720 kg (10,400 lb). Nation: Russia. Agency: Korolev bureau. Class: Surveillance. Type: Military surveillance satellite. Spacecraft Bus: Vostok. Spacecraft: Zenit-2 satellite. Duration: 7.00 days. Decay Date: 1964-05-02 . USAF Sat Cat: 791 . COSPAR: 1964-021A. Apogee: 292 km (181 mi). Perigee: 203 km (126 mi). Inclination: 65.00 deg. Period: 89.50 min. Area survey photo reconnaissance satellite..
1964 June 10 - . 10:48 GMT - . Launch Site: Baikonur. Launch Complex: Baikonur LC31. LV Family: R-7. Launch Vehicle: Vostok 8A92. Cosmos 32 - . Payload: Zenit-2 11F61 s/n 18. Mass: 4,720 kg (10,400 lb). Nation: Russia. Agency: Korolev bureau. Class: Surveillance. Type: Military surveillance satellite. Spacecraft Bus: Vostok. Spacecraft: Zenit-2 satellite. Duration: 8.00 days. Decay Date: 1964-06-18 . USAF Sat Cat: 807 . COSPAR: 1964-029A. Apogee: 322 km (200 mi). Perigee: 205 km (127 mi). Inclination: 51.30 deg. Period: 89.80 min. Area survey photo reconnaissance satellite..
1964 June 23 - . 10:19 GMT - . Launch Site: Baikonur. Launch Complex: Baikonur LC31. LV Family: R-7. Launch Vehicle: Vostok 8A92. Cosmos 33 - . Payload: Zenit-2 11F61 s/n 20. Mass: 4,720 kg (10,400 lb). Nation: Russia. Agency: Korolev bureau. Class: Surveillance. Type: Military surveillance satellite. Spacecraft Bus: Vostok. Spacecraft: Zenit-2 satellite. Duration: 8.00 days. Decay Date: 1964-07-01 . USAF Sat Cat: 816 . COSPAR: 1964-033A. Apogee: 279 km (173 mi). Perigee: 205 km (127 mi). Inclination: 64.90 deg. Period: 89.40 min. Area survey photo reconnaissance satellite..
1964 July 15 - . 11:31 GMT - . Launch Site: Baikonur. Launch Complex: Baikonur LC31. LV Family: R-7. Launch Vehicle: Vostok 8A92. Cosmos 35 - . Payload: Zenit-2 11F61 s/n 21. Mass: 4,720 kg (10,400 lb). Nation: Russia. Agency: Korolev bureau. Class: Surveillance. Type: Military surveillance satellite. Spacecraft Bus: Vostok. Spacecraft: Zenit-2 satellite. Duration: 8.00 days. Decay Date: 1964-07-23 . USAF Sat Cat: 833 . COSPAR: 1964-039A. Apogee: 258 km (160 mi). Perigee: 218 km (135 mi). Inclination: 51.30 deg. Period: 89.20 min. Area survey photo reconnaissance satellite..
1964 August 14 - . 09:36 GMT - . Launch Site: Baikonur. Launch Complex: Baikonur LC31. LV Family: R-7. Launch Vehicle: Vostok 8A92. Cosmos 37 - . Payload: Zenit-2 11F61 s/n 22. Mass: 4,720 kg (10,400 lb). Nation: Russia. Agency: Korolev bureau. Class: Surveillance. Type: Military surveillance satellite. Spacecraft Bus: Vostok. Spacecraft: Zenit-2 satellite. Duration: 8.00 days. Decay Date: 1964-08-22 . USAF Sat Cat: 848 . COSPAR: 1964-044A. Apogee: 240 km (140 mi). Perigee: 208 km (129 mi). Inclination: 64.90 deg. Period: 88.90 min. Area survey photo reconnaissance satellite. Program partially completed. Break in the film fof the SA-10 camera..
1964 September 24 - . 12:00 GMT - . Launch Site: Baikonur. Launch Complex: Baikonur LC31. LV Family: R-7. Launch Vehicle: Vostok 8A92. Cosmos 46 - . Payload: Zenit-2 11F61 s/n 23. Mass: 4,720 kg (10,400 lb). Nation: Russia. Agency: Korolev bureau. Class: Surveillance. Type: Military surveillance satellite. Spacecraft Bus: Vostok. Spacecraft: Zenit-2 satellite. Duration: 8.00 days. Decay Date: 1964-10-02 . USAF Sat Cat: 885 . COSPAR: 1964-059A. Apogee: 264 km (164 mi). Perigee: 211 km (131 mi). Inclination: 51.30 deg. Period: 89.20 min. Area survey photo reconnaissance satellite. Demonstration launch witnessed by Khrushchev..
1964 October 14 - . 09:50 GMT - . Launch Site: Baikonur. Launch Complex: Baikonur LC31. LV Family: R-7. Launch Vehicle: Vostok 8A92. Cosmos 48 - . Payload: Zenit-2 11F61 s/n 24. Mass: 4,720 kg (10,400 lb). Nation: Russia. Agency: Korolev bureau. Class: Surveillance. Type: Military surveillance satellite. Spacecraft Bus: Vostok. Spacecraft: Zenit-2 satellite. Duration: 6.00 days. Decay Date: 1964-10-20 . USAF Sat Cat: 908 . COSPAR: 1964-066A. Apogee: 284 km (176 mi). Perigee: 204 km (126 mi). Inclination: 65.10 deg. Period: 89.30 min. Area survey photo reconnaissance satellite. Program partially completed. Returned early due to failure of spacecraft thermoregulation system; internal temperature rose to 43 degrees C..
1964 October 28 - . 10:48 GMT - . Launch Site: Baikonur. Launch Complex: Baikonur LC31. LV Family: R-7. Launch Vehicle: Vostok 8A92. Cosmos 50 - . Payload: Zenit-2 11F61 s/n 25. Mass: 4,720 kg (10,400 lb). Nation: Russia. Agency: Korolev bureau. Class: Surveillance. Type: Military surveillance satellite. Spacecraft Bus: Vostok. Spacecraft: Zenit-2 satellite. Duration: 8.00 days. Decay Date: 1964-11-05 . USAF Sat Cat: 919 . COSPAR: 1964-070A. Apogee: 232 km (144 mi). Perigee: 190 km (110 mi). Inclination: 51.20 deg. Period: 88.70 min. Area survey photo reconnaissance satellite. Unsuccessful mission. Failure of the braking engine system. Spacecraft ordered to self destruct..
1965 January 11 - . 09:36 GMT - . Launch Site: Baikonur. Launch Complex: Baikonur LC31. LV Family: R-7. Launch Vehicle: Vostok 8A92. Cosmos 52 - . Payload: Zenit-2 11F61 s/n 26. Mass: 4,720 kg (10,400 lb). Nation: Russia. Agency: Korolev bureau. Class: Surveillance. Type: Military surveillance satellite. Spacecraft Bus: Vostok. Spacecraft: Zenit-2 satellite. Duration: 8.00 days. Decay Date: 1965-01-19 . USAF Sat Cat: 968 . COSPAR: 1965-001A. Apogee: 298 km (185 mi). Perigee: 203 km (126 mi). Inclination: 65.00 deg. Period: 89.50 min. Area survey photo reconnaissance satellite..
1965 March 25 - . 10:04 GMT - . Launch Site: Baikonur. Launch Complex: Baikonur LC31. LV Family: R-7. Launch Vehicle: Vostok 8A92. Cosmos 64 - . Payload: Zenit-2 11F61 s/n 17. Mass: 4,720 kg (10,400 lb). Nation: Russia. Agency: MOM. Class: Surveillance. Type: Military surveillance satellite. Spacecraft Bus: Vostok. Spacecraft: Zenit-2 satellite. Duration: 8.00 days. Decay Date: 1965-04-02 . USAF Sat Cat: 1305 . COSPAR: 1965-025A. Apogee: 250 km (150 mi). Perigee: 205 km (127 mi). Inclination: 65.00 deg. Period: 89.10 min. Area survey photo reconnaissance satellite..
1965 May 7 - . 09:50 GMT - . Launch Site: Baikonur. Launch Complex: Baikonur LC31. LV Family: R-7. Launch Vehicle: Vostok 8A92. Cosmos 66 - . Payload: Zenit-2 11F61 s/n 27. Mass: 4,720 kg (10,400 lb). Nation: Russia. Agency: MOM. Class: Surveillance. Type: Military surveillance satellite. Spacecraft Bus: Vostok. Spacecraft: Zenit-2 satellite. Duration: 8.00 days. Decay Date: 1965-05-15 . USAF Sat Cat: 1362 . COSPAR: 1965-035A. Apogee: 397 km (246 mi). Perigee: 285 km (177 mi). Inclination: 64.90 deg. Period: 91.30 min. Returned after 8 days. Unsuccessful mission. Parachute deployment failure. Spacecraft destroyed in crash..
1965 June 15 - . 10:04 GMT - . Launch Site: Baikonur. Launch Complex: Baikonur LC31. LV Family: R-7. Launch Vehicle: Vostok 8A92. Cosmos 68 - . Payload: Zenit-2 11F61 s/n 29. Mass: 4,720 kg (10,400 lb). Nation: Russia. Agency: MOM. Class: Surveillance. Type: Military surveillance satellite. Spacecraft Bus: Vostok. Spacecraft: Zenit-2 satellite. Duration: 8.00 days. Decay Date: 1965-06-23 . USAF Sat Cat: 1404 . COSPAR: 1965-046A. Apogee: 306 km (190 mi). Perigee: 208 km (129 mi). Inclination: 65.00 deg. Period: 89.70 min. Area survey photo reconnaissance satellite..
1965 July 13 - . Launch Site: Baikonur. Launch Complex: Baikonur LC31. LV Family: R-7. Launch Vehicle: Vostok 8A92. FAILURE: Second stage guidance failure.. Failed Stage: 2. Zenit-2 11F61 s/n 28 - . Payload: Zenit-2 11F61 s/n 28. Mass: 4,720 kg (10,400 lb). Nation: Russia. Agency: RVSN. Class: Surveillance. Type: Military surveillance satellite. Spacecraft Bus: Vostok. Spacecraft: Zenit-2 satellite. Decay Date: 1965-07-13 . Area survey photo reconnaissance satellite..
1965 August 14 - . 11:16 GMT - . Launch Site: Baikonur. Launch Complex: Baikonur LC31. LV Family: R-7. Launch Vehicle: Vostok 8A92. Cosmos 78 - . Payload: Zenit-2 11F61 s/n 30. Mass: 4,720 kg (10,400 lb). Nation: Russia. Agency: MOM. Class: Surveillance. Type: Military surveillance satellite. Spacecraft Bus: Vostok. Spacecraft: Zenit-2 satellite. Duration: 8.00 days. Decay Date: 1965-08-22 . USAF Sat Cat: 1505 . COSPAR: 1965-066A. Apogee: 379 km (235 mi). Perigee: 330 km (200 mi). Inclination: 69.00 deg. Period: 91.60 min. Area survey photo reconnaissance satellite..
1965 November 27 - . 08:24 GMT - . Launch Site: Baikonur. Launch Complex: Baikonur LC31. LV Family: R-7. Launch Vehicle: Vostok 8A92. Cosmos 98 - . Payload: Zenit-2 11F61 s/n 31. Mass: 4,720 kg (10,400 lb). Nation: Russia. Agency: MOM. Class: Surveillance. Type: Military surveillance satellite. Spacecraft Bus: Vostok. Spacecraft: Zenit-2 satellite. Duration: 8.00 days. Decay Date: 1965-12-05 . USAF Sat Cat: 1780 . COSPAR: 1965-097A. Apogee: 547 km (339 mi). Perigee: 205 km (127 mi). Inclination: 65.00 deg. Period: 92.10 min. Area survey photo reconnaissance satellite..
1965 December 10 - . 08:09 GMT - . Launch Site: Baikonur. Launch Complex: Baikonur LC31. LV Family: R-7. Launch Vehicle: Vostok 8A92. Cosmos 99 - . Payload: Zenit-2 11F61 s/n 32. Mass: 4,720 kg (10,400 lb). Nation: Russia. Agency: MOM. Class: Surveillance. Type: Military surveillance satellite. Spacecraft Bus: Vostok. Spacecraft: Zenit-2 satellite. Duration: 8.00 days. Decay Date: 1965-12-18 . USAF Sat Cat: 1817 . COSPAR: 1965-103A. Apogee: 309 km (192 mi). Perigee: 203 km (126 mi). Inclination: 65.00 deg. Period: 89.60 min. Area survey photo reconnaissance satellite..
1966 January 7 - . 08:24 GMT - . Launch Site: Baikonur. Launch Complex: Baikonur LC31. LV Family: R-7. Launch Vehicle: Vostok 8A92. Cosmos 104 - . Payload: Zenit-2 11F61 s/n 36. Mass: 4,720 kg (10,400 lb). Nation: Russia. Agency: MOM. Class: Surveillance. Type: Military surveillance satellite. Spacecraft Bus: Vostok. Spacecraft: Zenit-2 satellite. Duration: 8.00 days. Decay Date: 1966-01-15 . USAF Sat Cat: 1903 . COSPAR: 1966-001A. Apogee: 379 km (235 mi). Perigee: 195 km (121 mi). Inclination: 65.00 deg. Period: 90.20 min. Area survey photo reconnaissance satellite. Program not completely met. 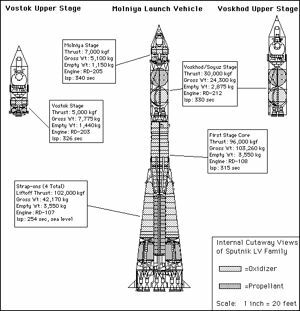 Spacecraft put into incorrect orbit by abnormal function of second and third stages of booster..
1966 January 22 - . 08:38 GMT - . Launch Site: Baikonur. Launch Complex: Baikonur LC31. LV Family: R-7. Launch Vehicle: Vostok 8A92. Cosmos 105 - . Payload: Zenit-2 11F61 s/n 38. Mass: 4,720 kg (10,400 lb). Nation: Russia. Agency: MOM. Class: Surveillance. Type: Military surveillance satellite. Spacecraft Bus: Vostok. Spacecraft: Zenit-2 satellite. Duration: 8.00 days. Decay Date: 1966-01-30 . USAF Sat Cat: 1945 . COSPAR: 1966-003A. Apogee: 311 km (193 mi). Perigee: 203 km (126 mi). Inclination: 65.00 deg. Period: 89.60 min. Area survey photo reconnaissance satellite..
1966 February 10 - . 08:52 GMT - . Launch Site: Baikonur. Launch Complex: Baikonur LC31. LV Family: R-7. 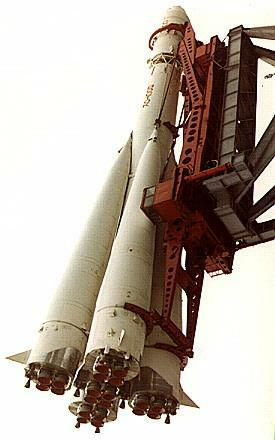 Launch Vehicle: Vostok 8A92. Cosmos 107 - . Payload: Zenit-2 11F61 s/n 34. Mass: 4,720 kg (10,400 lb). Nation: Russia. Agency: MOM. Class: Surveillance. Type: Military surveillance satellite. Spacecraft Bus: Vostok. Spacecraft: Zenit-2 satellite. Duration: 8.00 days. Decay Date: 1966-02-18 . USAF Sat Cat: 1998 . COSPAR: 1966-010A. Apogee: 313 km (194 mi). Perigee: 216 km (134 mi). Inclination: 65.00 deg. Period: 89.70 min. Area survey photo reconnaissance satellite..
1966 March 17 - . 10:28 GMT - . Launch Site: Plesetsk. Launch Complex: Plesetsk LC41/1. LV Family: R-7. Launch Vehicle: Vostok 8A92. Cosmos 112 - . Payload: Zenit-2 11F61 s/n 37. Mass: 4,720 kg (10,400 lb). Nation: Russia. Agency: MOM. Class: Surveillance. Type: Military surveillance satellite. Spacecraft Bus: Vostok. Spacecraft: Zenit-2 satellite. Duration: 8.00 days. Decay Date: 1966-03-25 . USAF Sat Cat: 2107 . COSPAR: 1966-021A. Apogee: 664 km (412 mi). Perigee: 214 km (132 mi). Inclination: 72.00 deg. Period: 93.30 min. Area survey photo reconnaissance satellite..
1966 April 20 - . 10:48 GMT - . Launch Site: Baikonur. Launch Complex: Baikonur LC31. LV Family: R-7. Launch Vehicle: Vostok 8A92. Cosmos 115 - . Payload: Zenit-2 11F61 s/n 35. Mass: 4,720 kg (10,400 lb). Nation: Russia. Agency: MOM. Class: Surveillance. Type: Military surveillance satellite. Spacecraft Bus: Vostok. Spacecraft: Zenit-2 satellite. Duration: 8.00 days. Decay Date: 1966-04-28 . USAF Sat Cat: 2147 . COSPAR: 1966-033A. Apogee: 283 km (175 mi). Perigee: 189 km (117 mi). Inclination: 65.00 deg. Period: 89.20 min. . Program partially completed. Abnormal operation of SA-10 camera..
1966 May 6 - . 11:02 GMT - . Launch Site: Baikonur. Launch Complex: Baikonur LC31. LV Family: R-7. Launch Vehicle: Vostok 8A92. Cosmos 117 - . Payload: Zenit-2 11F61 s/n 39. Mass: 4,720 kg (10,400 lb). Nation: Russia. Agency: MOM. Class: Surveillance. Type: Military surveillance satellite. Spacecraft Bus: Vostok. Spacecraft: Zenit-2 satellite. Duration: 8.00 days. Decay Date: 1966-05-14 . USAF Sat Cat: 2163 . COSPAR: 1966-037A. Apogee: 314 km (195 mi). Perigee: 200 km (120 mi). Inclination: 64.90 deg. Period: 89.60 min. Area survey photo reconnaissance satellite..
1966 September 16 - . Launch Site: Baikonur. Launch Complex: Baikonur LC31. LV Family: R-7. Launch Vehicle: Vostok 8A92. FAILURE: Launch vehicle destroyed. Failure of Block D core stage.. Failed Stage: 1. Zenit-2 11F61 s/n 40 - . Payload: Zenit-2 11F61 s/n 40. Mass: 4,720 kg (10,400 lb). Nation: Russia. Agency: RVSN. Class: Surveillance. Type: Military surveillance satellite. Spacecraft Bus: Vostok. Spacecraft: Zenit-2 satellite. Decay Date: 1966-09-16 . Area survey photo reconnaissance satellite..
1966 October 14 - . 12:13 GMT - . Launch Site: Plesetsk. Launch Complex: Plesetsk LC41/1. LV Family: R-7. Launch Vehicle: Vostok 8A92. Cosmos 129 - . Payload: Zenit-2 11F61 s/n 33. Mass: 4,720 kg (10,400 lb). Nation: Russia. Agency: MOM. Class: Surveillance. Type: Military surveillance satellite. Spacecraft Bus: Vostok. Spacecraft: Zenit-2 satellite. Duration: 7.00 days. Decay Date: 1966-10-21 . USAF Sat Cat: 2491 . COSPAR: 1966-091A. Apogee: 288 km (178 mi). Perigee: 199 km (123 mi). Inclination: 65.40 deg. Period: 89.40 min. Area survey photo reconnaissance satellite..
1966 November 19 - . 08:09 GMT - . Launch Site: Baikonur. Launch Complex: Baikonur LC31. LV Family: R-7. Launch Vehicle: Vostok 8A92. Cosmos 132 - . Payload: Zenit-2 11F61 s/n 46. Mass: 4,720 kg (10,400 lb). Nation: Russia. Agency: MOM. Class: Surveillance. Type: Military surveillance satellite. Spacecraft Bus: Vostok. Spacecraft: Zenit-2 satellite. Duration: 8.00 days. Decay Date: 1966-11-27 . USAF Sat Cat: 2599 . COSPAR: 1966-106A. Apogee: 257 km (159 mi). Perigee: 202 km (125 mi). Inclination: 65.00 deg. Period: 89.10 min. Area survey photo reconnaissance satellite..
1966 December 19 - . 12:00 GMT - . Launch Site: Plesetsk. Launch Complex: Plesetsk LC41/1. LV Family: R-7. Launch Vehicle: Vostok 8A92. Cosmos 136 - . Payload: Zenit-2 11F61 s/n 47. Mass: 4,720 kg (10,400 lb). Nation: Russia. Agency: MOM. Class: Surveillance. Type: Military surveillance satellite. Spacecraft Bus: Vostok. Spacecraft: Zenit-2 satellite. Duration: 8.00 days. Decay Date: 1966-12-27 . USAF Sat Cat: 2624 . COSPAR: 1966-115A. Apogee: 281 km (174 mi). Perigee: 197 km (122 mi). Inclination: 64.60 deg. Period: 89.30 min. Area survey photo reconnaissance satellite. Also carried science package..
1967 January 19 - . 12:39 GMT - . Launch Site: Plesetsk. Launch Complex: Plesetsk LC41/1. LV Family: R-7. Launch Vehicle: Vostok 8A92. Cosmos 138 - . Payload: Zenit-2 11F61 s/n 43. Mass: 4,720 kg (10,400 lb). Nation: Russia. Agency: MOM. Class: Surveillance. Type: Military surveillance satellite. Spacecraft Bus: Vostok. Spacecraft: Zenit-2 satellite. Duration: 8.00 days. Decay Date: 1967-01-27 . USAF Sat Cat: 2646 . COSPAR: 1967-004A. Apogee: 273 km (169 mi). Perigee: 190 km (110 mi). Inclination: 64.60 deg. Period: 89.10 min. Area survey photo reconnaissance satellite..
1967 February 27 - . 08:45 GMT - . Launch Site: Baikonur. Launch Complex: Baikonur LC1. LV Family: R-7. Launch Vehicle: Vostok 8A92. Cosmos 143 - . Payload: Zenit-2 11F61 s/n 45. Mass: 4,720 kg (10,400 lb). Nation: Russia. Agency: MOM. Class: Surveillance. Type: Military surveillance satellite. Spacecraft Bus: Vostok. Spacecraft: Zenit-2 satellite. Duration: 8.00 days. Decay Date: 1967-03-07 . USAF Sat Cat: 2693 . COSPAR: 1967-017A. Apogee: 390 km (240 mi). Perigee: 202 km (125 mi). Inclination: 64.90 deg. Period: 90.50 min. Placed into orbit with 22.8 second period different from that planned. Area survey photo reconnaissance satellite. Also carried science package..
1967 March 13 - . 12:10 GMT - . Launch Site: Plesetsk. Launch Complex: Plesetsk LC41/1. LV Family: R-7. Launch Vehicle: Vostok 8A92. Cosmos 147 - . Payload: Zenit-2 11F61 s/n 44. Mass: 4,720 kg (10,400 lb). Nation: Russia. Agency: MOM. Class: Surveillance. Type: Military surveillance satellite. Spacecraft Bus: Vostok. Spacecraft: Zenit-2 satellite. Duration: 8.00 days. Decay Date: 1967-03-21 . USAF Sat Cat: 2710 . COSPAR: 1967-022A. Apogee: 298 km (185 mi). Perigee: 195 km (121 mi). Inclination: 64.50 deg. Period: 89.40 min. Area survey photo reconnaissance satellite. Program partially completed..
1967 April 4 - . 14:00 GMT - . Launch Site: Plesetsk. Launch Complex: Plesetsk LC41/1. LV Family: R-7. Launch Vehicle: Vostok 8A92. Cosmos 153 - . Payload: Zenit-2 11F61 s/n 48. Mass: 4,720 kg (10,400 lb). Nation: Russia. Agency: MOM. Class: Surveillance. Type: Military surveillance satellite. Spacecraft Bus: Vostok. Spacecraft: Zenit-2 satellite. Duration: 8.00 days. Decay Date: 1967-04-12 . USAF Sat Cat: 2740 . COSPAR: 1967-030A. Apogee: 279 km (173 mi). Perigee: 199 km (123 mi). Inclination: 64.60 deg. Period: 89.30 min. Area survey photo reconnaissance satellite. Program partially completed. Failure of primary SA-20 camera..
1967 May 12 - . 10:30 GMT - . Launch Site: Baikonur. Launch Complex: Baikonur LC1. LV Family: R-7. Launch Vehicle: Vostok 8A92. Cosmos 157 - . Payload: Zenit-2 11F61 s/n 49. Mass: 4,720 kg (10,400 lb). Nation: Russia. Agency: MOM. Class: Surveillance. Type: Military surveillance satellite. Spacecraft Bus: Vostok. Spacecraft: Zenit-2 satellite. Duration: 8.00 days. Decay Date: 1967-05-20 . USAF Sat Cat: 2781 . COSPAR: 1967-044A. Apogee: 262 km (162 mi). Perigee: 249 km (154 mi). Inclination: 51.30 deg. Period: 89.60 min. Area survey photo reconnaissance satellite. Program partially completed. Bad quality film loaded into SA-20 camera..